Did you know Audrey Hepburn's iconic black dress in the film, Breakfast at Tiffany's, was designed by Givenchy? Known for his classic silhouettes and elegant designs, Hubert has always been a trailblazer in the fashion industry. Ever the beacon of sophistication and aristocratic luxury, Givenchy is also remembered for his close friendship to Hepburn, often using her as his fashion muse. Having passed away last Saturday in his Paris chateau, join us in our fifth instalment of #FashionFlashbacks. Here,we take a trip down memory lane -- recounting the designer's iconic achievements and contributions in the world of Fashion and Design. Givenchy opens his first design house (la Maison Givenchy) in Plaine Monceau, Paris. Shortly after, he releases his first collection named after the famous model, Bettina Graziani. Making him the first designer to release a luxury prêt-à-porter line. Givenchy meets the budding actress, Audrey Hepburn, in the set of the comedy, Sabrina. Here she stars opposite Humphrey Bogart and William Holden. Givenchy launches L'interdit -- a signature perfume with Audrey Hepburn fronting the campaign, signalling a blossoming friendship between the two. The House of Givenchy lancuhes designs for the now-iconic "Balloon Coat" and "Baby Doll" dress. Breakfast at Tiffany's is released, featuring the iconic black dress Audrey Hepburn sports in the blockbuster movie where she plays the struggling protagonist, Holly Golightly. Givenchy launches a Men's line. Givenchy partners with Ford Motor Company to release a luxury car, named the Continental Mark IV Coupe, Hubert proves that his design prowess extends beyond the runway. Hubert resigns from the design house. Taking after him were John Galliano briefly, Alexander Mcqueen for five years, Julien Mcdonald for three years, and Ricardo Tisci from 2005 till 2017. A retrospective exhibition is held at the Thyssen-Bornemisza Museum in Madrid Spain, featuring 95 pieces designed by Hubert. See the exhibit in this virtual tour. 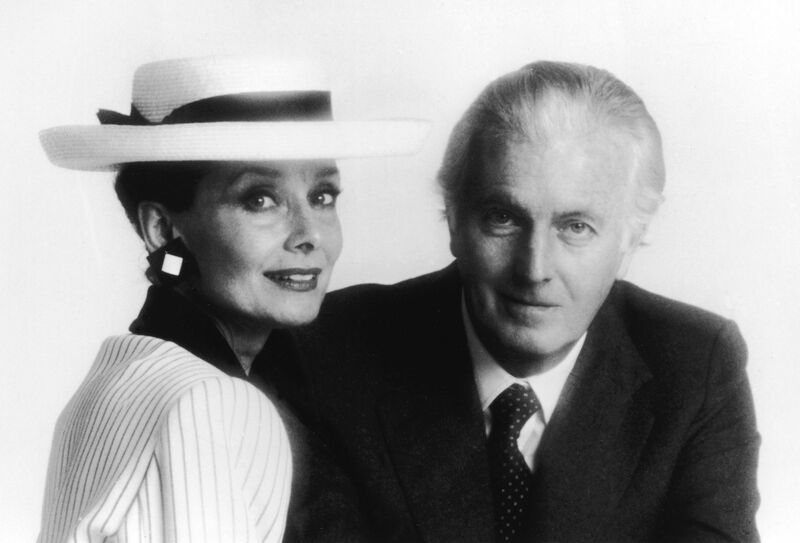 Hubert de Givenchy passes away in his Paris chateau at the age of 91. Connie Roff, Who's Who: Hubert de Givenchy, Vogue, 11 November 2011. “Hubert De Givenchy: 'It Was Always My Dream to Be a Dress Designer'.” The Independent, Independent Digital News and Media, 23 Oct. 2011, www.independent.co.uk/life-style/fashion/features/hubert-de-givenchy-it-was-always-my-dream-to-be-a-dress-designer-1993047.html. Rosaline. “At Home With: Hubert De Givenchy, Château Du Jonchet, France.” This Is Glamorous, 12 Mar. 2018, www.thisisglamorous.com/2016/02/at-home-with-hubert-de-givenchy-chateau-du-jonchet-france/.